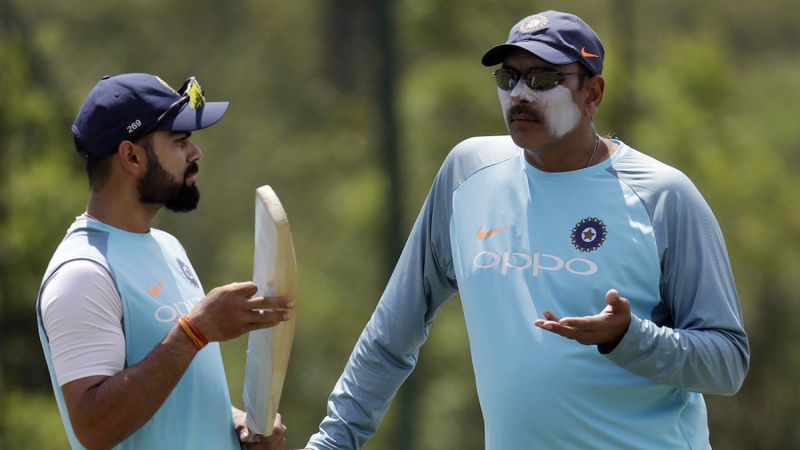 India coach Ravi Shastri said he would have preferred a 16-member World Cup squad instead of the mandated 15 and urged those who missed out to "not lose heart". Shastri steered clear of it, though. "I don't get involved in selection. If we have any opinion, we let the captain know," he was quoted as saying by the Sport360 website in Dubai. "When you only have 15 to pick, there is bound to be someone or the other who misses out, which is very unfortunate. I would have preferred 16 players. We had mentioned to the ICC that in a tournament that long, 16 players makes sense. But the diktat was 15." Shastri said those who missed the final 15 should continue to look ahead as opportunity could knock anytime. "They shouldn't lose heart. It's a funny game. There could be injuries," he said. "So you never know when you could be called up." When pressed on Vijay Shankar's selection for the No. 4 slot months after captain Virat Kohli had declared Rayudu as the front-runner for the position, Shastri said the spot remained a flexible one. "Total flexibility depending on conditions, opposition. I would say the top three but after that you can be very flexible," he said. Shastri also brushed aside criticism that India seemed to be too reliant on Kohli to carry them through. "If you look at the last five years, the way the Indian team has performed, they have always been in the top two or three. To be in top two or three for five years in a row, No1 in Tests, again top three in T20 cricket you can't depend on one player. "You have that kind of consistent record, you need a bunch of players performing all the time. Due credit to the team." Speaking in general about the World Cup, Shastri gave the favourites' tag to England. "England have been the most consistent team over the last two years," he said. "They have multi-dimensional players. They have depth in bowling and batting. And they are playing at home. So they would start as favourites. "But there are so many teams that can beat any team on a given day. In a tournament like the World Cup, you have got to be on top of your game every game."